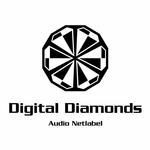 Digital Diamonds is a free netlabel focusing on high quality electronic music. Featuring both - newcomers and well-known artists, Digital Diamonds offers deep techno and trance music with soul. The idea is to locate amazing music and make it available to a huge crowd, cost-free and legal.